Other good go-to cold weather vegetables are root produce such as turnips, beets and carrots as well as hardy leafy greens like spinach, cabbage, kale and chard. Bulb veggies (onions and garlic) as well as asparagus crowns can also be planted at this time. 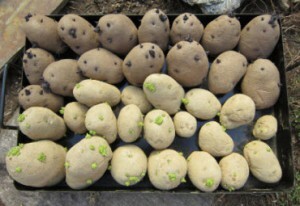 When purchasing seed potatoes, look for certified seed potatoes. These are seeding potatoes which have not been treated with growth retardants to prevent sprouting. Conventional potatoes in grocery markets are typically treated with retardants. The seed potatoes we carry at Russell Feed stores are certified seed potatoes. 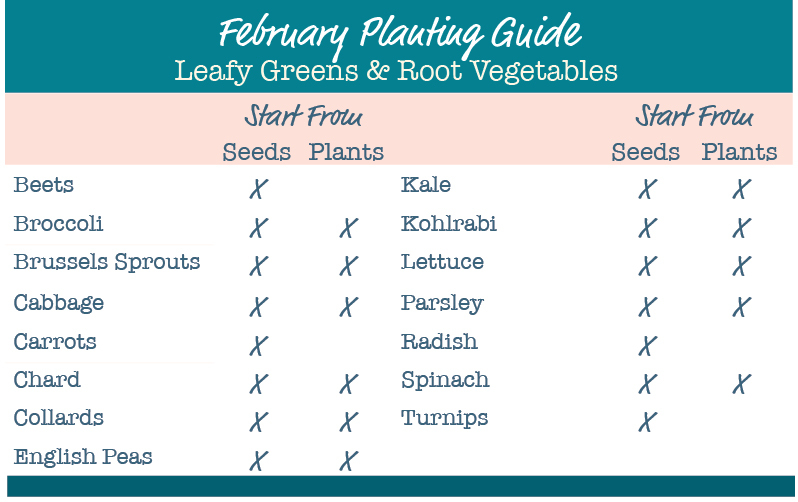 Lettuce, spinach and cabbage can be planted at this time either by seeds or plant starts. Russell Feed has fresh cold crop vegetables arriving weekly from our local growers. Call the stores for current availability on plants. This entry was posted on Thursday, January 17th, 2019 at 2:29 pm	and is filed under Articles & Videos, Garden, News & Updates, Plants. You can follow any responses to this entry through the RSS 2.0 feed. Both comments and pings are currently closed.